From VA 243 southbound. Straight ahead is SR 10230 which was once the highest route number in the country. Photo by Oscar Voss, taken March 2004. 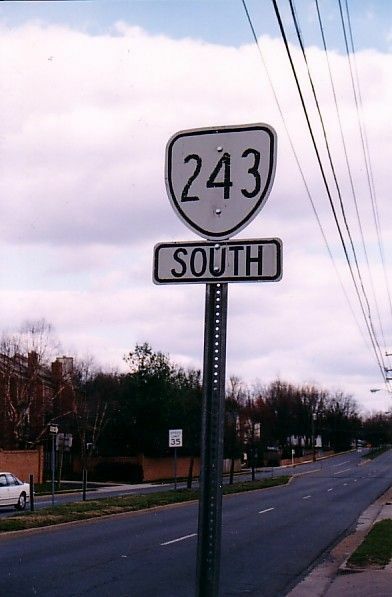 Approaching VA 243 along VA 123 southbound. Some nice white-border signs here. Photo by Mapmikey, taken February 25, 2006. 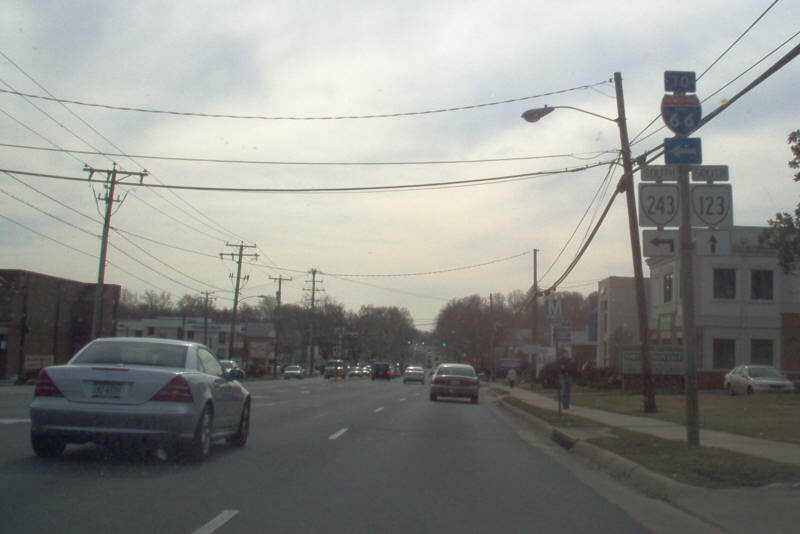 Approaching VA 243 along VA 123 southbound with modern signage instead. Photo by Mapmikey, taken July 3, 2013. 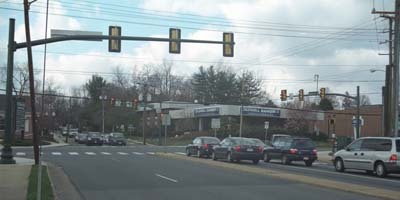 From VA 123 southbound at the intersection itself. Photo by Mapmikey, taken February 25, 2006. 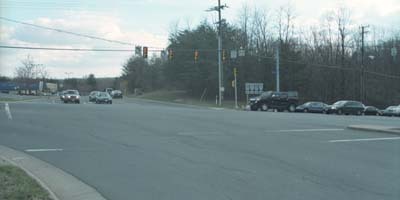 From VA 243 northbound at VA 123. In the distance you can see more white border VA 123 shields. Photo by Oscar Voss, taken March 2004. 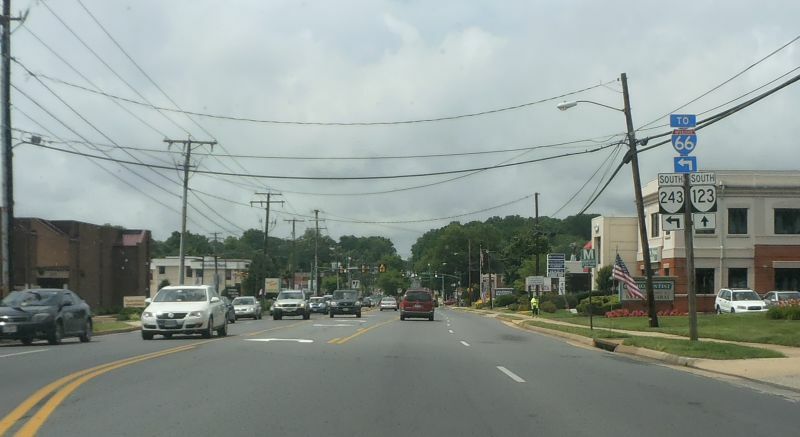 From VA 243 southbound leaving VA 123. This cutout looked like it was gone the last time I drove by here in early 2006. Photo by Oscar Voss, taken March 2004.